KPVG is an animated HD photo-realistic airport made by Marc Leydecker a.k.a. Belga12345. 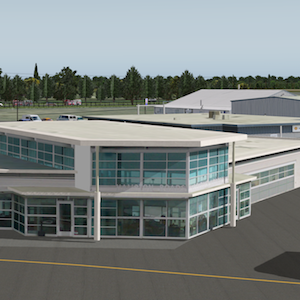 A personal note from Marc; it took me over 1200 hours to build this photo-realistic HD airport. All objects, including vehicles, static aircraft, buildings, vegetation, animations, etc. were made in Sketchup and based on pictures provided by Tom Barefoot whose a KPVG instructor. Please explore since there is a scene around every corner. Grab a sandwich or a beer at the Airport Bar. No rubbernecking at the accident. By the way, the Budweiser is on sale at the super detailed gas station across the airport. Special thanks to “Beber” for letting me use his objects downloadable as single files from XPFR.